MintVine What Exactly Is It? – Legit or A Complete Scam? If you have not heard about MintVine, allow us to enlighten you. MintVine is a company promises to reward you in the form of a payment by just sharing your valuable opinion. This is a relatively new research company that claims to give people an easy way to earn real money online by earning points whenever you share your opinion about a product. To sign up for you to work with MintVine.com is free and only requires you to provide your email, which they use to verify your account. To set up your account, you are also required to fill a short personal questionnaire, which allows the administrators to know which surveys you qualify for. The company promises to safeguard all the private information filled in the questionnaire. I have made a quick table of content to help you get straight to the point that may interest you. Should you be concerned about my privacy using MintVine? What are some of the cons of MintVine? So, Is MintVine Legit or Scam? What is my #1 recommendation for making money online? To boost sales, companies do market research to know what their customers want. This is where MintVine comes in. This company works on behalf of other companies to get opinions of the public. Your opinions are valuable since they will help the companies to understand the basic needs and ways that they could improve their products or services to meet the needs of the consumers. As a way of rewarding you, the company will reward you with points, which are converted into cash payments. 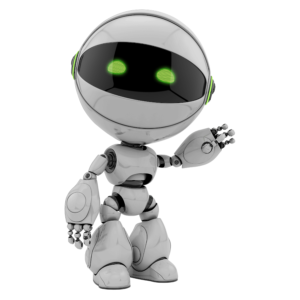 Here are some of the ways that you can make money with Mint Vine. 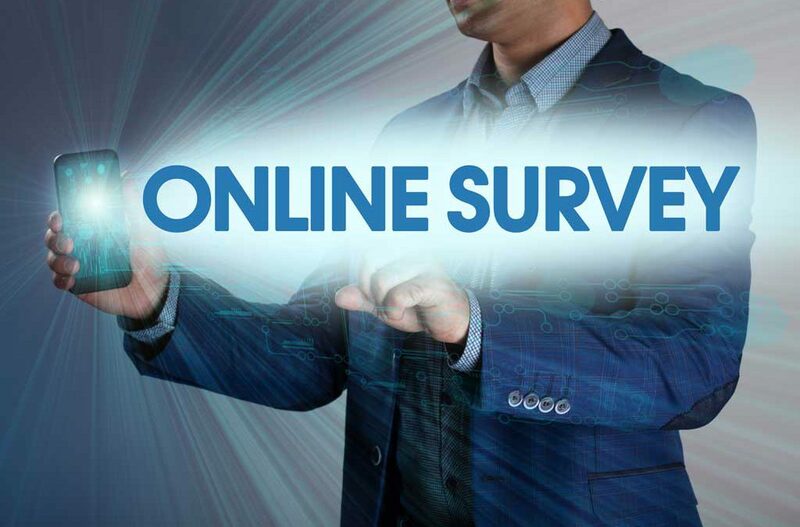 Taking surveys is probably the main way that you can earn money online using MintVine. You will receive points after completing every survey. Each survey has at least 40 points and for each 100 points gathered from taking surveys, you will earn $1. The great thing about these surveys is that they will indicate the number of questions available in the survey and time it will take to complete the survey. They will also indicate the points that you will earn. By so doing, you can choose the surveys you are comfortable with for you to make the most money in a given period. This is another way that you can earn money using this website. However, for you to get these offers, you are required to join a membership, download something, or take a free trial. We know very many companies that try to encourage online users to join membership but do not provide anything in return. Although joining memberships may help you to get discounted prices, there is nothing better than joining a membership and being rewarded just for taking the initiative. Here you will get two types of offers. The first type is free offers that pay you for taking simple succession actions. The second types are paid offers that come in forms of joining a membership website, gambling sites or taking free trials. With MintVine, you will also get to learn about local deals that can save you more than 50 percent for something that you need to purchase for personal use. 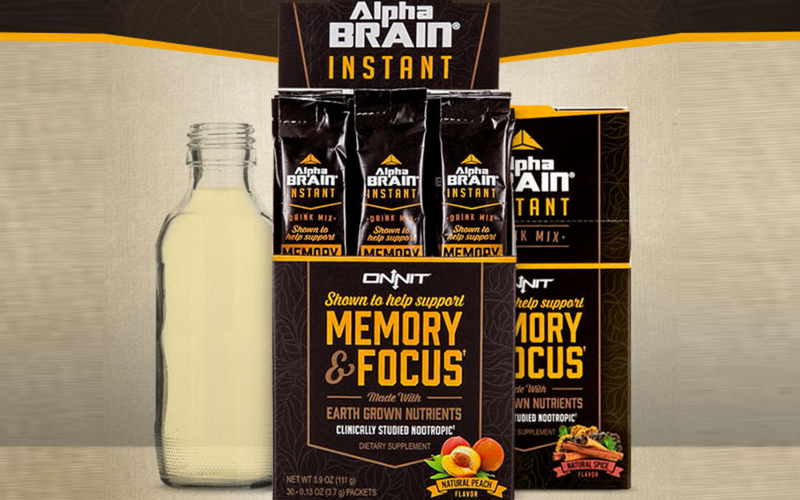 Instead of purchasing the product from a local store and pay the full price, you can buy it from this website and save you more than 50 percent of the original price. What is even better is that you will also earn points in return! MintVine.com also rewards you for referrals. You will get about fifteen percent of what your referrals are making with both surveys and offers. If you have your own website and know how you can get referrals to sites, then this is a great choice. When it comes to your privacy, we found that MintVine.com has put measures to ensure that all your information is protected from third parties as well as any other use rather than the intended. First, you do not have to deal with any signing issues. You just need to provide basic information such as age, email, phone number, and country and phone numbers. Although providing phone numbers has raised the concerns of many users, the administrators have given a sound reason why they need you to provide it. The phone number is used to verify your account and keep it safe. You are required to confirm your number only once so this is not a big deal. The answer is simple, yes. With this site, you can be guaranteed to get the payment of the points accumulated. However, the main concern should not if they pay, but when do they pay and how much can you expect to get. For you to get your payment, you must have accumulated at least $10 or 1000 points and each survey you take can range from 20 to 75 points and take 8 to 20 minutes. This is very reasonable compared to other companies, which offer payouts minimum of $20 or $30. Upon doing our research, we also found that the average payout is between $15 to $30 a month with varying degree of change although you cannot expect to get something to make you afford a new fancy car. If you are looking for an easy way to earn a little more income, then this platform will not disappoint you. 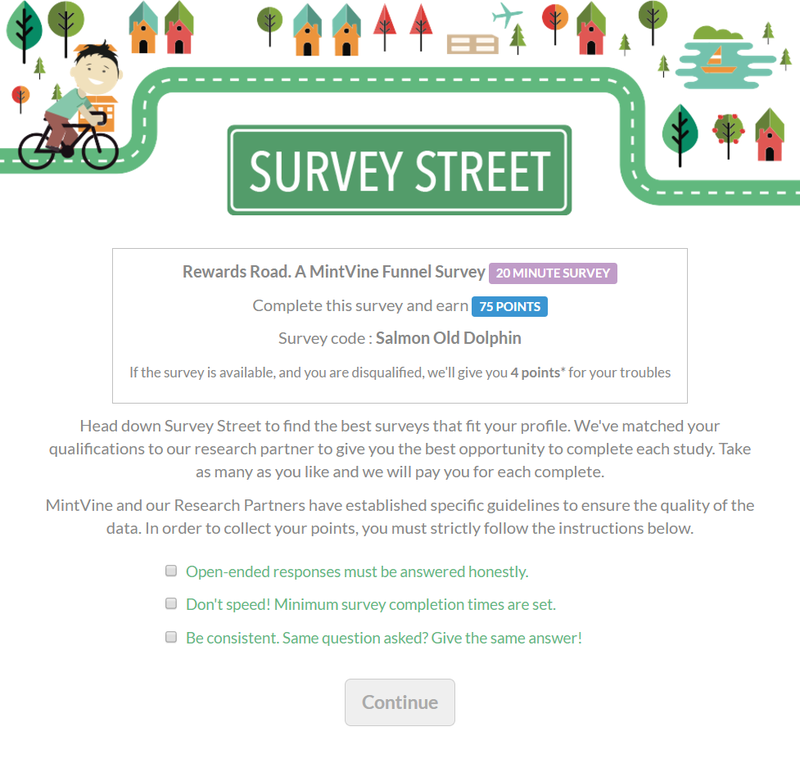 Although MintVine is a reputable site, there are a few complaints about its surveys and credits. Users often complain that they have very few surveys but they do send out emails about surveys they do have, about two or three emails per day. When comparing with other sites, this company only offers their users with few surveys. After an investigation, we found that the reason behind this is that the site only provides the users with qualified surveys. We also some complaints where users voiced that when the survey came, they arrived all at once, making their inbox to look spammy. Since there are other users being notified, you may find that there are no surveys remaining after a few hours. Additionally, some users also complained that they credits did not appear immediately after completing the survey. Although this is frustrating especially when in need of quick cash, the balance is added to your account after reviewing survey. From the information we have gathered before coming up with this review, we find MintVine legit. You do not need to pay anything to join. 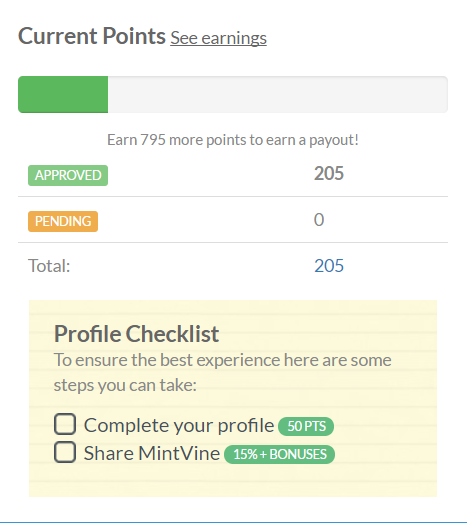 Mint Vine are also reliable when it comes to honoring their member’s payouts. If you love taking surveys, we would recommend you to give Mint Vine a try. Besides, even if you do not want to take part in surveys, you could make a lot of money with this site from the referrals. All in all, MintVine has something for all. Thank you for taking your time to read our review. Feel free to share the article or let us know what you think about this program. I tend to avoid online survey opportunities these days after wasting a lot of time in the past. After joining and filling out numerous surveys I then arrived at a so-called survey that required me to subscribe to a given offer. I didn’t want to do this and as such couldn’t complete the survey programme and earned a total of NOTHING. What makes this different? Is it because they only offer “qualified surveys”? As for the referrals programme is this 1-tiered or does is go down through the levels making it some kind of back door MLM? As far as surveys and taking them for an income, this is not my recommendation for being a serious income but rather an income to help people with limited means and need just a little boost. Surveys are time consuming but if someone needs to make a quick dollar and has the time….maybe between jobs or such then they should give it a try however, if someone plans on having a second full time income or even having a successful online business then I recommend Wealthy Affiliate. That is where I got my start and they have a very good online training platform for affiliate marketing and building websites.